There are many different environments where Heat Resisting Alloys are utilised and a various number of alloys have been developed that have optimum characteristics for use in specific environments. The factors that need to be considered for optimum alloy choice are firstly high temperature corrosion phenomena such as oxidation, carburisation, metal dusting, sulphidation and chloride salt attack. Second are thermo-mechanical issues such as creep strength, stress-rupture, distortion, embrittlement, thermal cycling or fatigue, thermal shock and finally life expectancy and cost. 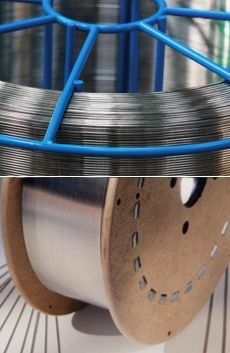 It is important that the correct weld consumable is used to maintain the properties across the weld zone and so it usual for a matching weld consumable to be chosen and each alloy generally has these available either as a filler wire and also an electrode. It is also beneficial that a qualified weld procedure is developed which will give confidence that a weld of optimum quality is achieved. For dissimilar welding, there are several options available and there are separate guidelines for producing various dissimilar welds. Most heat resisting stainless steel alloys use a higher carbon content for strength, whereas the corrosion resistant grades require a low carbon content to prevent carbide precipitation and maximise chromium content in solution. Therefore, it is not always feasible to utilise corrosion grades in high temperature service or heat resistant grades for corrosion applications. This is true for both base materials and weld consumables. Generally high heat input processes are not recommended for welding heat resisting alloys as moderate heat inputs are required together with the need for stringer beads and minimal weaving as most alloys are prone to hot cracking. Therefore, GTAW (TIG), GTAW (MIG or MAG) and SMAW (MMA) are the most common processes that are recommended and used. The Heat resisting alloys can be split into 4 main groups, Stainless steels, Precipitation hardenable Stainless steels, Nickel alloys and finally Precipitation hardenable Nickel alloys/superalloys. Most of the alloys are austenitic alloys and therefore behave and weld in a similar manner to standard austenitic stainless steels and are readily weldable providing the correct techniques and procedures are used. The remainder are either ferritic or martensitic stainless steels or are precipitation hardenable nickel alloys/superalloys and these require more detailed preheat and post weld heat treatment to prevent cracking and to achieve properties across the weld zone. The Austenitic alloys they are prone to solidification cracking and each of the alloy groups has a different method to prevent cracking. Further information for each group is detailed in the applicable section later. It is essential to understand and utilise these methods to prevent hot cracking as defects in service can lead to premature failure. 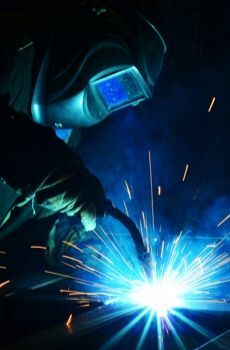 The HSE requirements for welding of these alloys are no different to any welding and are the usual considerations, such as those for the use of electrical equipment, risk of fire and explosion, fume extraction, hot working, care with ultraviolet light, manual handling and slip or trip hazards. These should all be considered and the use of the appropriate PPE and other precautions put in place. Further information is available on the applicable Weld alloy data sheet. It is essential for the correct weld preparation to be utilised to facilitate good access for welding and should therefore be considered at the design stage to ensure adequate access to all weld joints where possible. Nickel alloys are sluggish and do not have good penetration characteristics, so good access to correctly position the weld run is required to prevent lack of fusion defects. It also helps in order to produce a small stringer bead that has a good convex profile required to help in preventing hot cracking. It is important that the weld area is clean, free of oxide, greases, cutting fluids, dye penetrant solutions, paint, marker crayons or thermal crayons as contamination from any of these or other sources could lead to severe hot cracking. This is general practice for all high alloy fabrication, but is essential for Nickel alloys. The weld preparation can be thermally cut, machined or ground providing the edges and surrounding areas are thoroughly cleaned or ground to be clear of any oxide or contamination. A 25mm wide strip either side of the preparation is usually sufficient and should be cleaned to a bright finish using a flapper type abrasive disc. 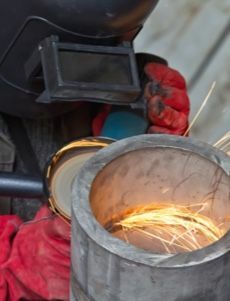 The whole area should also be thoroughly cleaned using a suitable solvent prior to welding within a reasonable timescale before welding to prevent re–contamination. If this is not possible then the weld area should be suitably protected. It is essential to use only clean stainless steel tools such as grinding wheels and brushes for any cleaning including interpass cleaning, to prevent any contamination with carbon steel or other matter. It is also good practice to have a separate area away from any carbon steel fabrication to prevent any cross contamination from airborne dust and this also helps to prevent cross contamination with dirty tools. There are several publications that can assist with choosing the correct preparation to use such as: American Welding Society, Welding Handbook, Volume 1 Chapter 5, ASM metal Handbook Volume 6, Welding, Brazing and Soldering, Joint Design and Preparation. 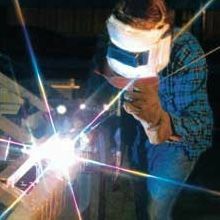 Welding codes need to be considered as they may impose additional design requirements. The Austenitic alloys do not undergo any phase change and so do not require any control of heating and cooling cycles. 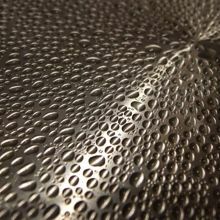 They therefore do not need any preheat other than any modest warming to prevent any condensation if cold base materials are brought into a warm environment. The interpass temperature for most alloys should be kept below 150 ̊C but any specific requirements are available on the applicable alloy weld data sheet. Modest heat inputs and weld stringer beads are generally preferred and help to prevent hot cracking. Fast cooling of the weld pool does help to mitigate hot cracking. The precipitation hardenable alloys need a pre-heat and a post weld heat treatment and are best welded in the solution annealed or over aged condition. More detailed information is available on the applicable weld consumable data sheet. This section covers the austenitic stainless steel alloys such as Alloy304H, 347, 253MA and 309S having less than 20% Nickel. This group of alloys have a specific composition to introduce a small amount of ferrite into the microstructure of the weld deposit on cooling to completely prevent any hot cracking. Alloy 310S Austenitic Stainless Steel is more difficult to weld and requires greater control than the other stainless alloys with less than 20% Nickel. Having a Nickel content at the 20% borderline it is very difficult to introduce any ferrite into the weld metal on cooling and consequently alternative methods are required to control hot cracking. The hot cracking resistance in this alloy type is improved by using high purity filler wires that have been manufactured using selected raw materials, aided by modern refining methods. They still however require careful control of heat input and weld bead shape to produce crack free welds. Most of the Ferritic, Martensitic and precipitation hardenable stainless steels supplied such as Alloy 286, Aermet-100, Alloy 13-8, Alloy 15-5, Alloy 17-4, Alloy 410, Alloy 418 are weldable but should be welded in the solution annealed or overaged condition with preheat and post weld heat treatments applied as appropriate. Appropriate heating and cooling control is required to prevent cracking and to produce acceptable properties across the weld zone. Full details for each alloy can be found on the individual Weld data sheet. Heat resistant alloys supplied that fall in this category include, Alloy 800H/AT, RA330, RA333, Alloy X, Alloy 600, Alloy 601, Alloy 602CA, Alloy 617, Alloy 625, and Alloy 230. The cobalt Alloy 105 and Alloy L605 are also similar. These alloys are usually welded with matching composition fillers, modified by restrictions on Sulphur, Phosphorus, Silicon and Boron. Titanium is added for de-oxidation. Weld consumables may contain Manganese Carbon, Niobium or Molybdenum to improve resistance to hot cracking. These modifications again do not prevent hot cracking as effectively as in the lower Nickel Austenitic stainless steels and so attention to cleanliness of the weld zone and low heat inputs and bead shape are extremely important. 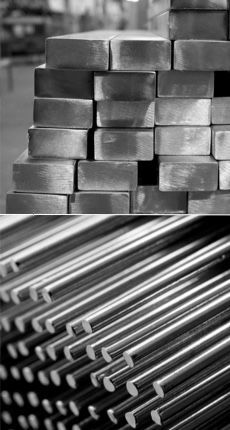 Most of this group of alloys supplied such as Waspalloy, Alloy 718, Alloy X-750, Alloy PK33, Alloy PE16, Alloy C263, Alloy 75, Alloy 80A, Alloy 86 and Alloy 90 are weldable but should be welded in the solution annealed or overaged condition with post weld heat treatments applied as appropriate. Appropriate heating and cooling control is required to prevent cracking and to produce acceptable properties across the weld zone. Full details for each alloy can be found on the individual Weld data sheet. Austenitic alloys have poor thermal conductivity and have a large coefficient of expansion, about half as much again as a ferritic alloy. Consequently, there will be considerable distortion when fabricating these alloys and methods to mitigate the effects of distortion should be used. These methods include balancing welding stresses by sequencing welding around the neutral axis, use of double sided preparations rather than single sided preparations where possible, strong and frequent tacks, use of jigs, back step welding. If weld repairs are required either to repair welding defects or to repair components removed from service, then it is important to also follow the above recommendations. This includes, complete removal of the defects, cleanliness and good access for welding. The use of NDE for the completed welds is good practice to ensure a sound weld for service. This may include simple visual or visual and surface examination via Dye penetrant techniques to a volumetric examination. Many codes will require some form of NDE with at least a minimum of a visual examination after welding. Heat resisting alloys are complex alloys with a high alloy content to give a range of properties for differing environments. It is essential to choose the correct alloy for an environment and to fabricate it correctly to ensure that the properties are maintained across the weld zone. The alloys have been fabricated for many years and have given excellent life in service with fabrications that have been produced with a good understanding and with attention to detail. This can ensure that the part has the longest life and gives excellent service and be more cost effective overall. Heat Resistant Alloy welding, James Kelly, Rolled Alloys, November 2002. American Welding Society, Welding Handbook, Volume 1 Chapter 5. ASM metal Handbook Volume 6, Welding, Brazing and Soldering, Joint Design and Preparation. The information presented here has been prepared for general circulation. Although we believe it to be correct, it is up to each individual to check all facts and ensure any information is relevant to their application. NeoNickel cannot be held responsible or be liable in any way as a result of use of this information. NeoNickel reserve the right to amend, revise or add any information to this document without prior notice.